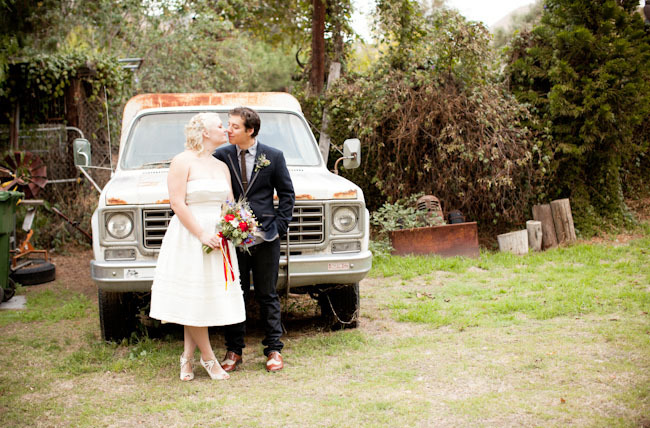 Jadie + Johnny had a beautiful backyard wedding – and with just a $5000 budget! 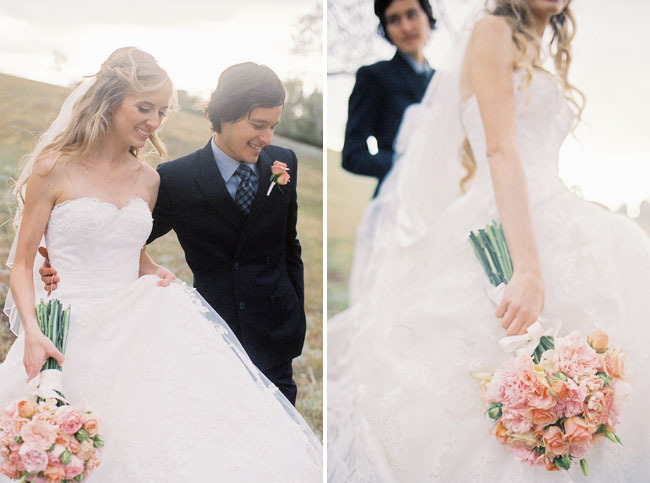 I love how all their family + friends really joined in to help them create their dream wedding. 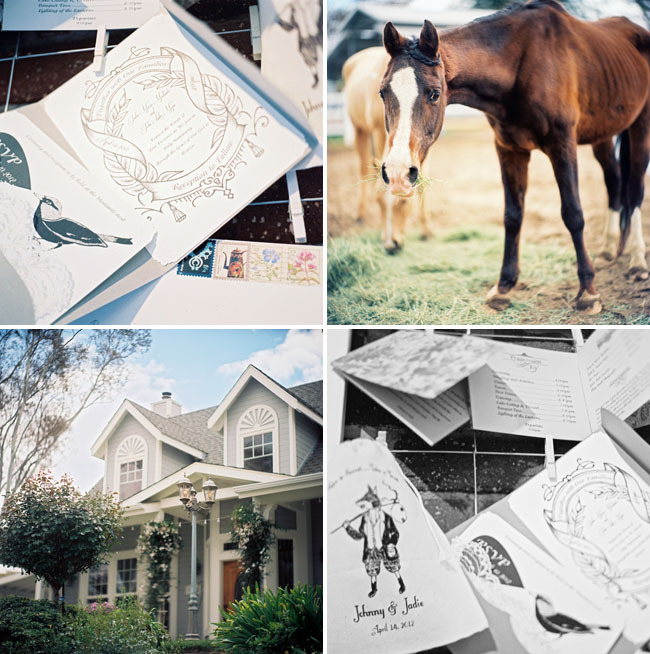 :) Their wedding was inspired by Jadie’s love for Disney and Johnny’s appreciation for classical storybooks (which many Disney classics originate from). They both dreamt of an outdoor wedding, so hosting it in the backyard Jadie grew up in was the obvious appropriate setting. Jadie + Johnny both have a love for children – they both serve within a children’s ministry at their church – so they had kids in mind when putting together their wedding. In addition to all the kids from their extended family, they also invited many of the kids and their parents from their church family since they are an influential part of their lives and were an inspiration to their wedding day. 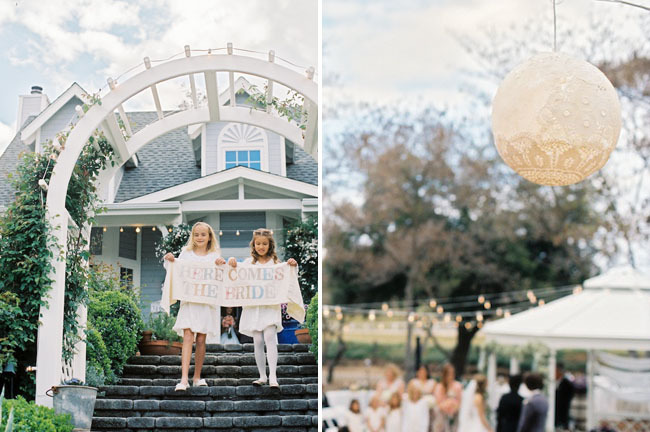 From Jadie + Johnny, “We knew if the wedding could be enjoyable and fun for the kids it would be also for the adults! 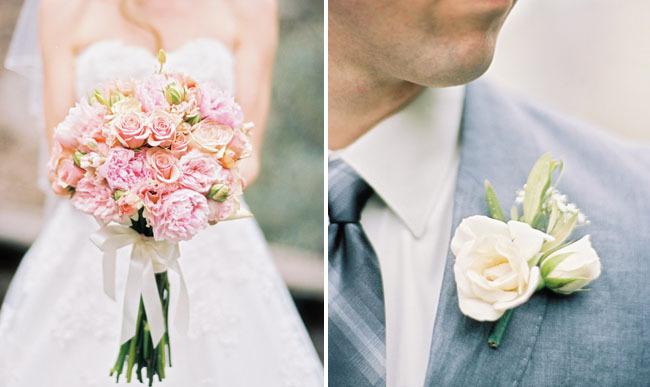 Thanks so much to Bwright Photography for the gorgeous photos and congrats to Jadie + Johnny! Our budget was quite small ($5,000) compared to most, so a DIY wedding was our only option which was really the best option especially for the style we were wanting to acquire. We had so many ideas but little time to complete it all. We were graced with a large community of friends and family who volunteered to be apart of the process. Truly the beauty of the day was displayed through the commitment of a loving and thoughtful community of friends and acquaintances who made great contributions of time and resources. This allowed us a greater budget for important details such as photography and our wedding apparel. The best thing about true DIY weddings is that most of the best ideas or popular trends that are found in the mainstream blogs stem from a bride + groom who had a very small budget which caused them to get creative with what they could afford. Our first kiss was very memorable because it was actually our first kiss! Jezel from Disney's "Enchanted" would call it "True loves kiss". 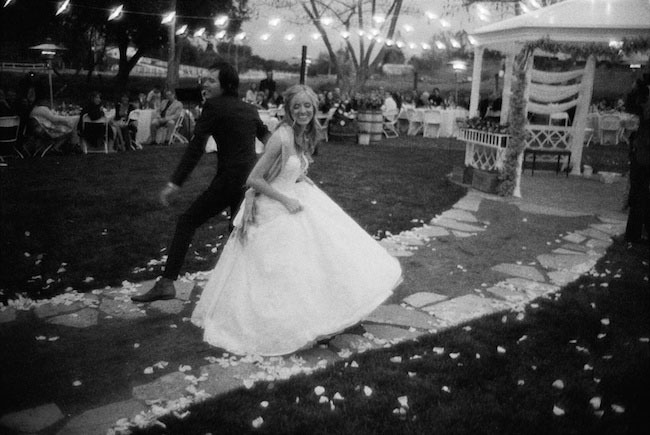 Other moments that are equally as memorable are the washing of the feet and our first dance. We choreographed the dance ourselves and not one person their knew about it. Many of the details in our wedding had a history or story behind them. We had the privilege of hosting Reed’s Ginger Brews at our reception which has been our favorite beverage that we have enjoyed throughout our relationship. The candy bags were hand screen printed by Johnny (Johnny has a screen printing business). Our dancing was inspired by our high school days. Every year of high school we participated in traditional ballroom dancing at the annual class banquets. We had a great time doing some not so traditional dancing that evening. Instructions were given on how to perform these dances by two of our friends. The guests loved it and everyone can participate! Jadie handmade the maple-pecan cinnamon rolls for our cake the night before the wedding! Her aunt arranged it into a cake for us the morning of the wedding. It was topped with a cashew cream frosting (Johnny’s favorite pastry). It is still at times very difficult to understand how this all came together with our small budget. Before we could get into any of the fun crafty stuff we had to work the ground (literally). The landscape you see in the photos was all a dirt pile two months prior. My wife, and I and her parents and brother did a large part of the manual labor ourselves such as digging trenches for irrigation, weeding, raking, spreading mulch, building the gazebo, gutting out the barn, and countless other maintenance related duties. Along the way we were graced by family and friends who joined in to help us during our final weeks; some who even lent us their own personal resources such as tools and even workers form their own personal business. Once the literal ground work was behind us we all shared a sense of gratification. There is always something priceless about putting your own sweat and blood so to say in to a project. Another very important nugget of wisdom is to hire creative, professional photographers who care about quality and have an excellent portfolio to show for it. Your photos will be your conduit into some precious memories for the future. 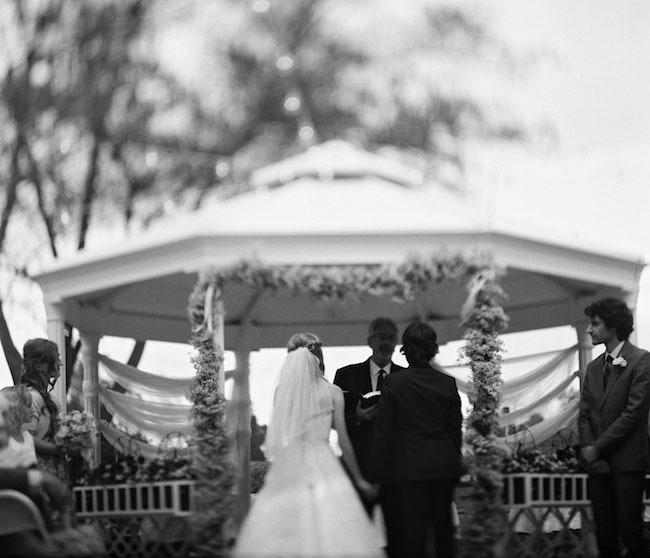 Be sure to hire photographers who can capture the tone and style/character of the wedding and bride and groom. 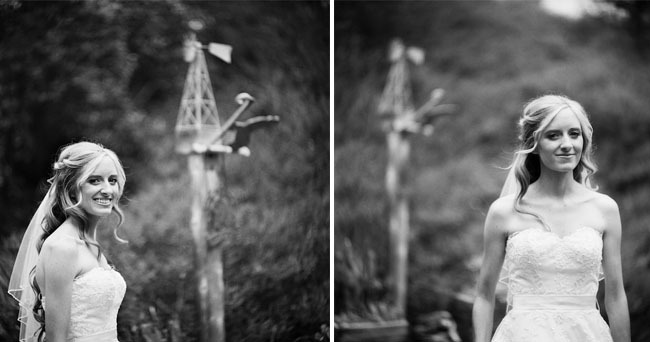 Bottom line: Don't compromise on the photography! 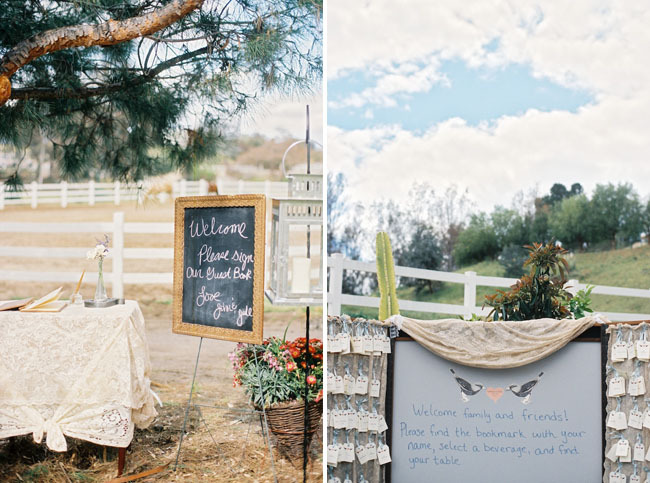 This is an amazing DIY wedding! I can’t believe they literally grew the grass they got married on. The Brother Wright Photographers are so talented! 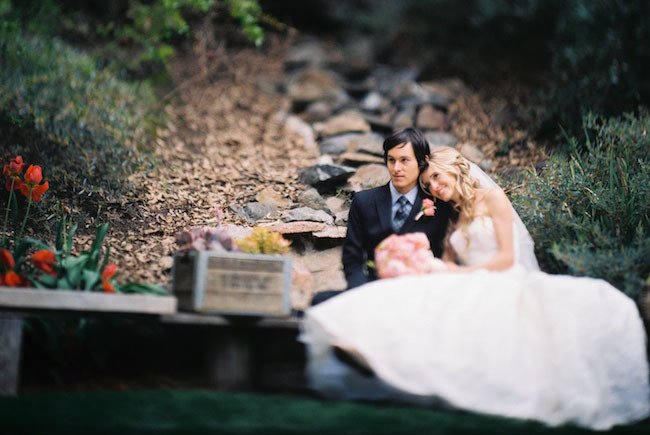 Lovely wedding …the images are gorgeous! B Wright Photo is such a talented team! This was one of the sweetest weddings I’ve ever been to. Everyone worked hard to make it happen but it turned out so lovely and so sweet. My little sis is the bridesmaid with the cute blonde curls and she made the cake toppers! Johnny did the artwork for the invites and the bags as well – he didn’t toot his horn enough because he is SUPER talented – do you see the fox?? So cute. Thank you Julie! I love your enthusiastic comments! We couldn’t have done such a wedding without all the “love contributions” from soooo many friends! Without our friends, this wedding would have cost a fortune! Without God, we wouldn’t have such friends! Seriously sweet and dreamy. Dreamy Town, USA! And I always look forward to seeing BWright photography! 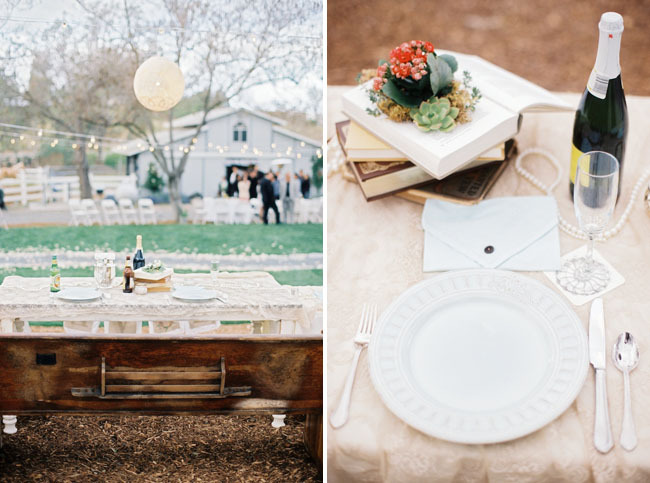 Amazing details for a DIY wedding! Very inspirational and thank you for sharing! Fabulous advice and absolutely stunning photos! 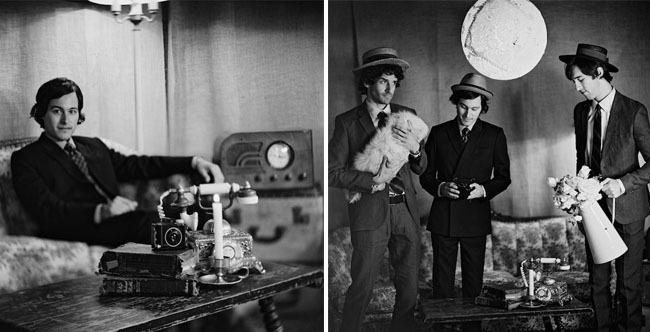 So happy Jadie and Johnny spent what they did on such an amazing photographer. Now they’ll have a lifetime of proof to show future friends how wonderful their $5000 wedding was. (And a lifetime of hearing, “there is NO WAY you only spent $5000!”) Stunning work all the way around. Fantastic post! LOVE that the bride comments on not compromising with the photographer. Woot! Woot! Even on a budget, J&J didn’t cheep-out! They created their wedding dream, by keeping the important things first. Having friends to help and creatively cutting nonessentials from the budget first. Having a separate budget for photogrphy, since photos are one of the few items that will last generations, is a brilliant idea! You want to look back at your day, and not remember temporary finical hardship, but know that you invested in something as lasting as your love. Thank you for submitting to GWS. You and Brandon are amazing friends and photographers! Love to you both! It’s wonderful to see what can be done on a limited budget (and when the budget is applied to what matters most) and the help from family and friends. Truly a beautiful and inspiring wedding. What a stunning day! It just goes to show how beautiful a day can be no matter what the price tag is. Thank you for sharing! The Brothers Wright make everything look so dreamy. This whole wedding is a testament to hard work, organization and creativity. That $5,000 stretched like bubble gum! Congratulations!!! Beautiful! We were so blessed by this wedding– everything truly was amazing! 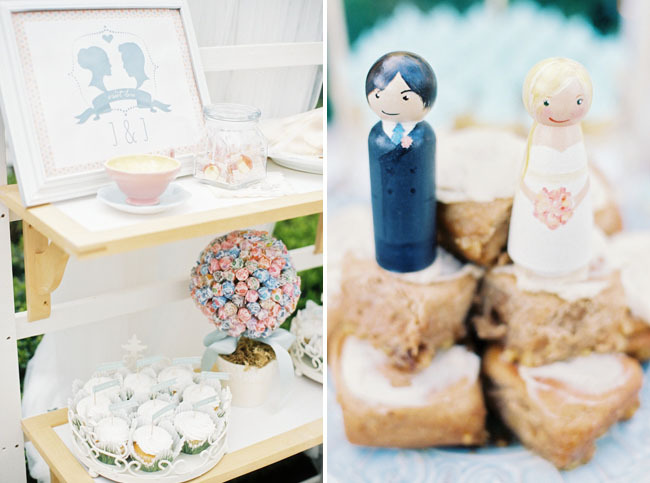 This is one of the best examples I have seen for a DIY Budget-Friendly wedding! This couple is very lucky to have so many people around them that were willing to help them out. It’s so great to see that even though their budget was small they still made sure not to miss out on the important details of the wedding. The bride looked absolutely stunning in her dress and the groom looked so very handsome. The photography advice is very important. You never want to cut down on such a significant part of your wedding day. These pictures are memories you will cherish forever and you want to make sure they are done right. The photos turned out amazing! Bwright did a great job at capturing all the right moments of the wedding. Congrats to the happy couple and kudos to the vendors, the photographer and of course greenweddingshoes.com! 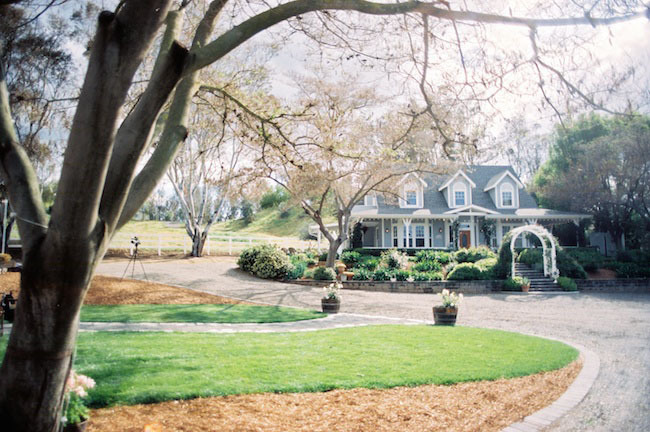 The wedding venue pictures are really awesome and stunning thanks for sharing such a nice pictures. specially the gray scale pictures are very beautiful. i hope my wedding should be like this . Thank you, Brandon, for submitting Jadie and Johnny’s wedding to GWS! You and Brian are such amazing photographers and friends! It was such a joy to work on this wedding…especially since Johnny is my nephew!! We prayed for YEARS that these two would finally tie the knot, and we’re so glad they did. I am so blessed to have been a part of their big day!! Monica, the flowers were absolutely gorgeous! Jadie’s bouquet was so perfect for her! Thank you so much! Beautiful work, Brian and Brandon! 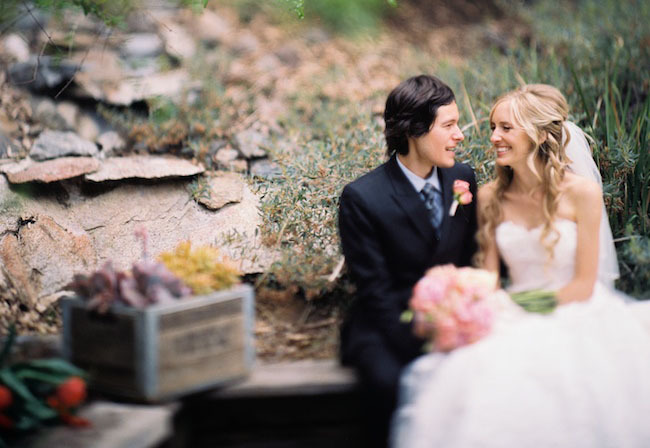 Simply and lovely wedding….That´s wonderfull! 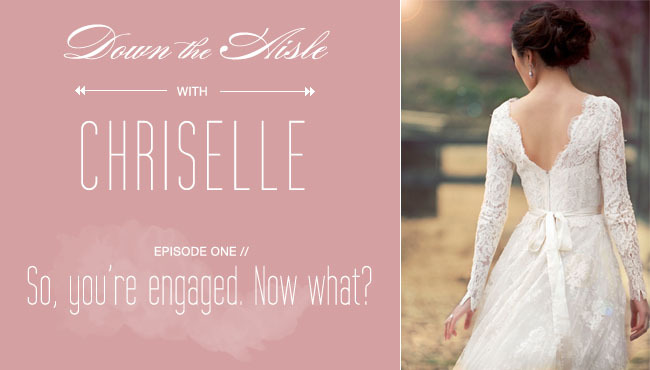 I seriously cannot believe that this wedding could have only cost $5000. The photographer alone would have cost a couple of thousand (at least in australia they do) I’m interested to know if the budget was inclusive of dress, flowers, hair, food and tableware, photography?. It truly does seem too beautiful for such a price tag. Congrats on a stunning wedding. 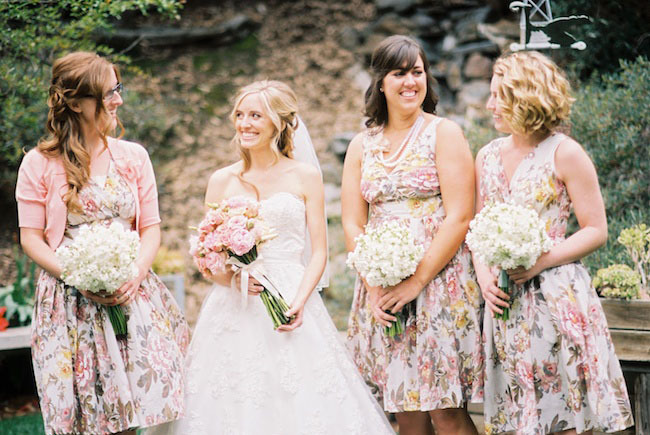 Proof that beautiful weddings do happen on a budget! Great job and congrats to the cute couple. Wow! 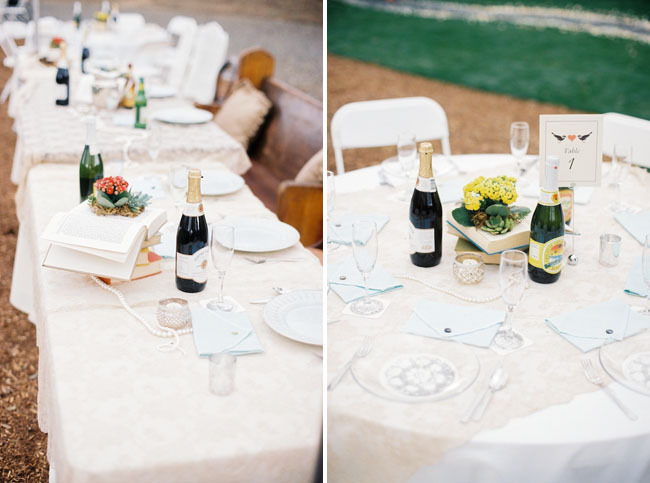 This certainly doesn’t look like a wedding on a budget! If only we all had a backyard like that…. 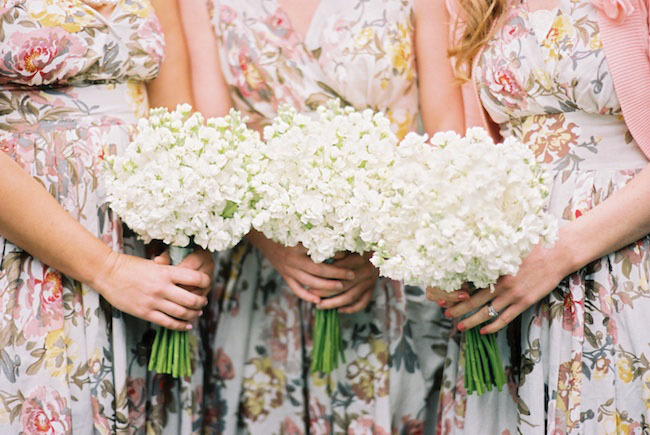 all the details are lovely and the bridesmaids bouquets are pretty too. oh my god, the bride is such a beauty! The photographer is great! Wondeful pictures!!! Every detail is beautiful! I love this wedding. It looked so natural and full of personal touches. The bride and groom looked so relaxed on their wedding day and looked like they were enjoying themselves – just as all wedding couples should be… Just beautiful. A big thanks to all who helped and attended Jadie and Johnny’s wedding! We couldn’t have done it without you! I must add a contributor to Johnny and Jadie’s wedding. 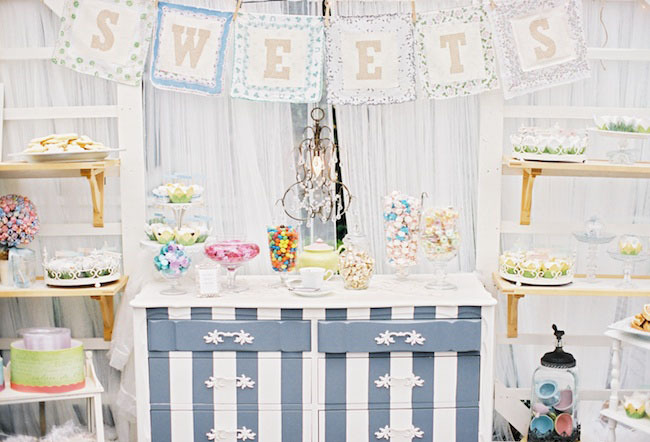 A new business was started after Nancy and Kelly Kruse lent and staged vintage items for the photo booth. They started Touched by Time Vintage Rentals. Go to their Touched by Time Vintage Rentals facebook page and “like” their page. Thank you Nancy and Kelly for creating an amazing and fun photo booth!